Inspired by the work of Johnny Laird, I Blog On A Sunday is a space for guest bloggers to share their cognitive ejaculations about blogging, Sundays and/or Christianity. Holla at me here if you want to know more. Do you consider blogging work or play? Why are you a Christian (or not)? These are the sorts of questions you could use to get the cogs turning, but feel free to use your own so long as it embodies the theme of blogging, Sundays or Christianity. 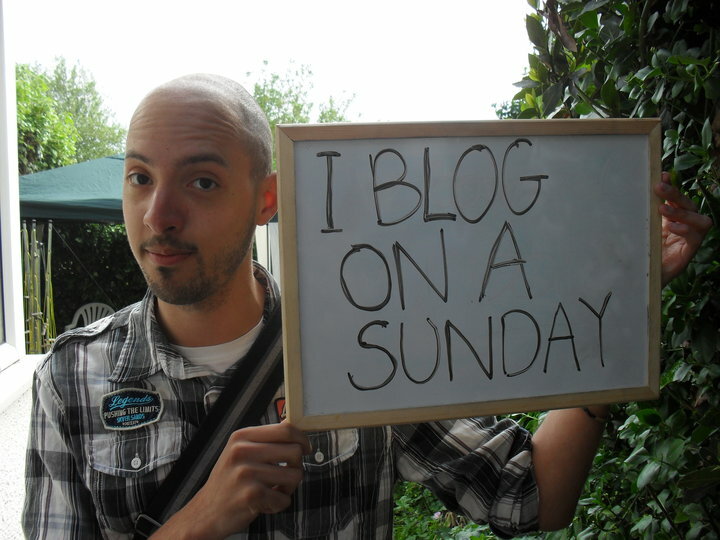 Please e-mail your guest post to jonny_rose_23@hotmail.com with a photo of yourself next to a sign that says ‘I Blog On A Sunday’. Limitations: 400 words and your imagination. This entry was posted in I Blog On A Sunday (Guest Bloggers). Bookmark the permalink. I’ll work on a post for you, bud! I would be happy to send you a posting! Wow – you Salvation Army guys are really coming out of the woodwork now! Fred, thanks you so much for volunteering. I’ve enjoyed having a look round your blog and I hope to engage with you further. You have a wonderful family and ministry going for you! Would love to do something for you.